Compassion. Music. Laughter. I felt these experiences while sitting a few feet away and listening to Arianna’s story during a recent conference in NYC. I was transformed. My senses were heightened as dopamine and serotonin were flowing. My heart was racing as she talked about the Third Metric, GPS for the Soul, and her recent meetings in India with the Dali Lama and neuroscientists. I had just returned the week before from a trip to Southern India meeting with artisans and attending a think tank — the INK-TED conference. It felt like kismet to hear her speak, as I am working on my first book. This is not a plug for my book. I just feel a profound connection to the work that Arianna is doing. Our emotional wellbeing is directly affected by our surroundings and the intention in which they are created. We can be changed at a basic physiological and neurological level when our physical spaces and interior living environments are truly connected to and representative of what keeps us happy and calm. We can do our best work in the world and be transformed when our physical spaces transform us. Physical space has a profound impact on us, and our brain chemistry is neurologically stimulated by our environment and beauty . According to Dacher Keltner, Ph.D., a psychology professor at the University of California, Berkeley and co-founder of the Greater Good Science Foundation, “compassion, music, and laughter release endorphins and oxytocin in our bodies by stimulating the vagus nerve” . Dr. Martha Morrell, M.D., a neuroscientist from the Neuroscience Clinic at Stanford, says: “The vagus nerve arises from the nuclei in the brain stem and the axons travel throughout the body. Activation of the vagus nerve slows the heart and breathing rate and lower blood pressure. Meditation and yoga do the same things and it is believed that they do so through activation of the vagus nerve.” I believe physical spaces and our interior living environments set off these same triggers that influence our health and wellbeing. It is a truly amazing concept and has the ability to change the lives of many people. Like the GPS for the Soul, we can transform through positive environments. I call it the soul of design. My deep connection to Arianna’s work has led me to post my first blog on The Huffington Post in order to reach out and keep the connection alive and expanding. This connection evokes the visual reminders that I strongly and continuously relate to — the tree of life and the ripple effect. I use this imagery in my work as symbols and reminders for what I strive for in my work. The tree of life symbolizes wisdom, protection, strength, bounty, beauty and reminds us of our responsibility as people on our precious earth to evolve, awaken, and reconnect to both our inner self and to the greater good. There is a ripple effect all around us and when we live in a way that promotes our wellbeing and the wellbeing of the people around us, our lives are improved and we become happier, healthier and more compassionate human beings. A planet with a growing number of healthy and compassionate people is an evolving planet. Meeting Arianna reinforced my call to action and the importance of the tree of life and the ripple effect. In my work, I create spaces for people to live, work, learn, and heal in. Learning about the Third Metric and the GPS for the soul has given me even more of a purpose and drive to continue my work and to finish my book. Thank you Arianna for your extraordinary vision and leadership in our world. I feel so much gratitude for the work you are doing. 1. Ishizu, Tomohiro, and Semir Zeki. 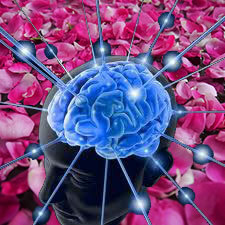 “Toward A Brain-Based Theory of Beauty.” PLOS ONE. N.p., 06 July 2011. Web. 26 Feb. 2014. 2. Keltner, Dacher, Ph.D. “The Affect of Beauty on the Human Neurosystem.” Personal interview. 21 Mar. 2013.